Can't add any addons from firefox page. 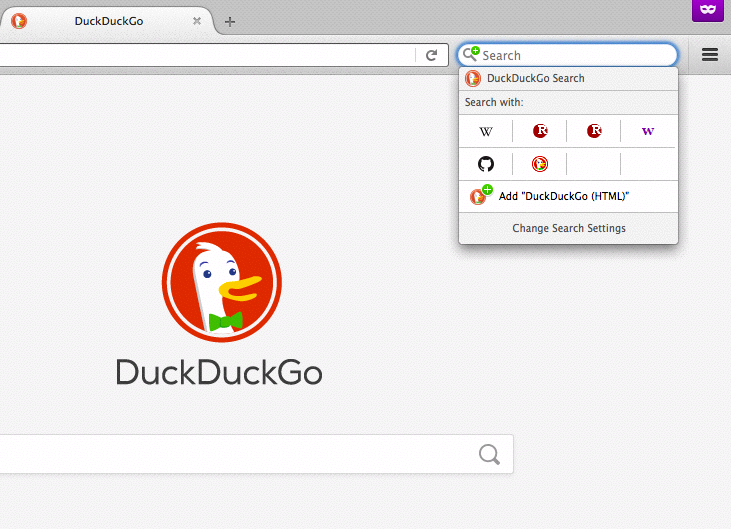 I try to add DuckDuckGo search engine. When I'm on firefox add-ons page there's no way to install add-ons, only button with "Only with firefox-Get Firefox Now". 've checked and...I already have this ddg.xml file. But neverless I don't have DDG in "Search Engines" list. I've also try to add another search engine, but I can't. So it seems that I can't add any of add-ons.? I've checked and...I already have this ddg.xml file. If you see "Only with Firefox" this means this extension requires an up-to-date version of Firefox. TenFourFox is based on version 45, therefore you must use the versions of extensions compatible with FF 45. Scroll down, click "See all versions", then select the most recent compatible version. 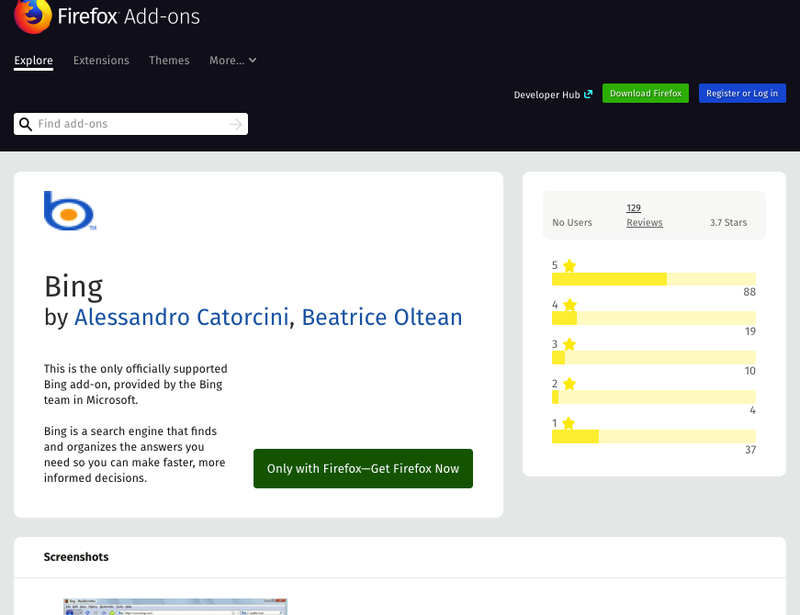 Do this quickly because Mozilla plans to remove older versions of extensions soon from their archives, then you'll need to use a third-party archive to install extensions for TenFourFox, and so will users of Pale Moon, Waterfox and others. 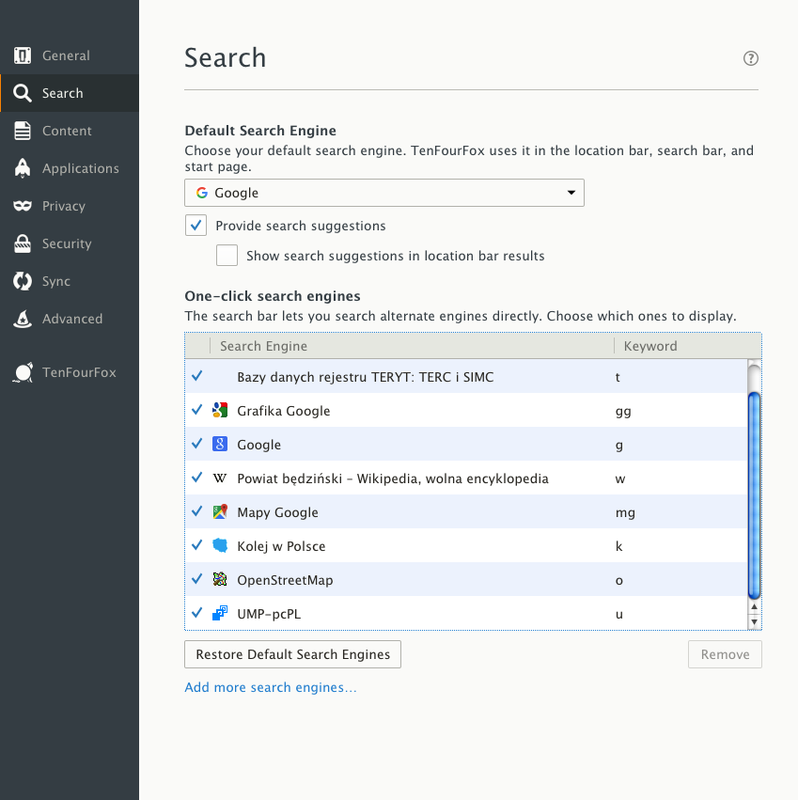 If DDG isn't listed in Preferences>Search, click "Restore Default Search Engines". 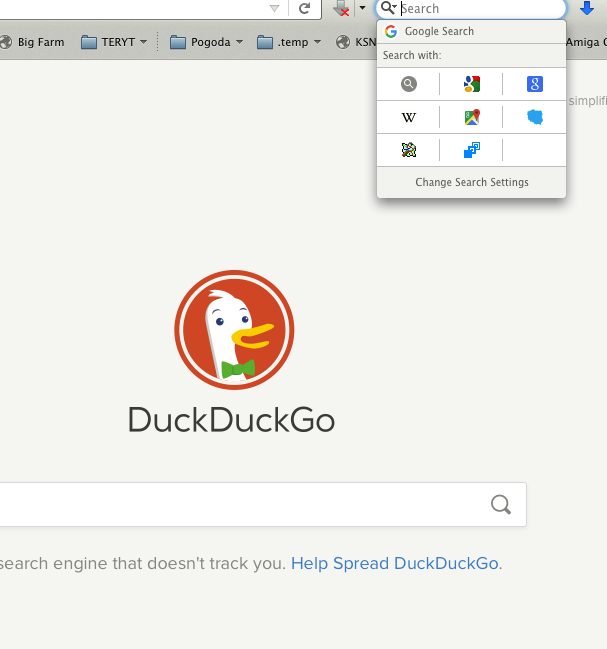 If you navigate to duckduckgo.com you should also have the option via search sidebar to add the search add-on (that is, if you don't already have it). I don't bother anymore with AMO (okay, spellcheck dictionnaries is possibly an exception). It always work this way for me. 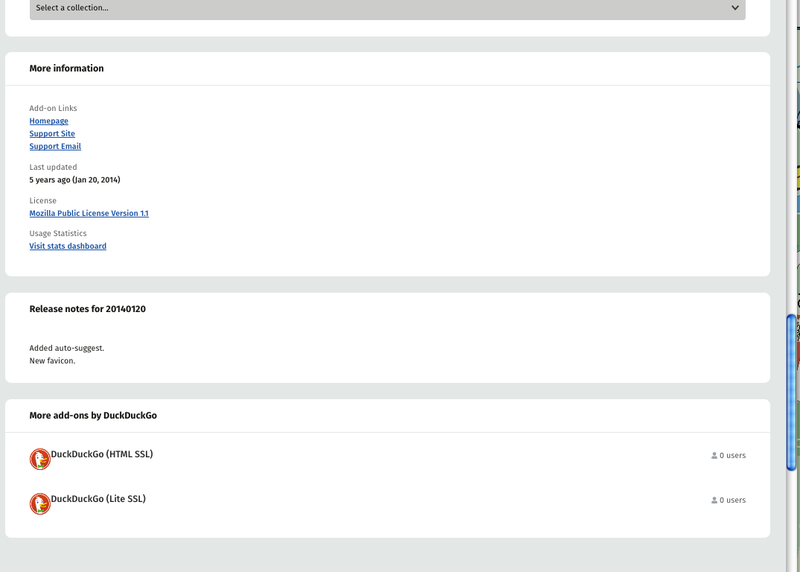 "If you navigate to duckduckgo.com you should also have the option via search sidebar to add the search add-on"
I don't have it :? "Scroll down, click "See all versions""